The magnificent Victorian mansion known as “Samarang” sits on hectares of garden at the junction of Main Street and Osborn Road. Built in 1883 by local trader Ernst Brummer and his wife Cornelia, it was the first “European” house constructed in Eshowe and has the distinction of having had only seven owners in its 134 years of existence. It was named after Cornelia Brummer’s birthplace in Java. The Brummers lived there until Cornelia died in 1917, at which point her husband sold up and returned to his native Holland. 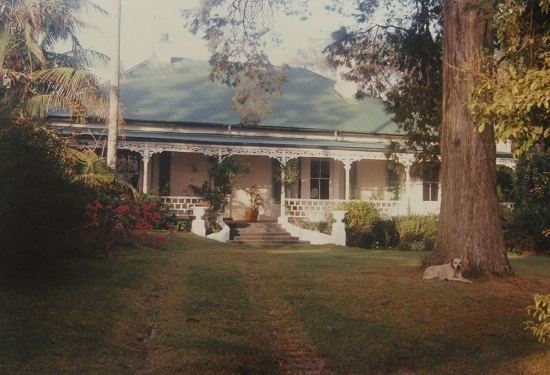 “Samarang” was bought by wealthy Ladysmith farmer Robert Hall as a country house for his three daughters, one of whom subsequently married Trevor Becker, the first manager of the Eshowe branch of Standard Bank, and they lived there until 1944. The house then passed into the ownership of Alan Vanderplank, who was asked to host the visiting British Royal family when they passed through Eshowe by train in 1947. The next well-known Eshowe family’s connection to “Samarang” came in 1958 when local pharmacist Ralph Edwards took possession. This medical connection continued when Dr Donald Clark, the former Springbok athlete and 1948 Olympian, and his wife Pat bought the house in 1965. They remained in residence for 48 years, during which time Mrs Clark spent many hours researching “Samarang’s” history. The present owners, Fred Volbrecht jnr and his wife became the seventh owners in 2013. The house has nine rooms and an substantial verandah, and boasts extensive tree-filled gardens and – a later addition – a swimming pool.